There are all kinds of things that can make you sad: friendship, life, love, or even the loss of someone special. If you have lost someone, you might also check out our prayer quotes list for WhatsApp as well. Sadness is something that everyone experiences, but is often difficult to put into words. 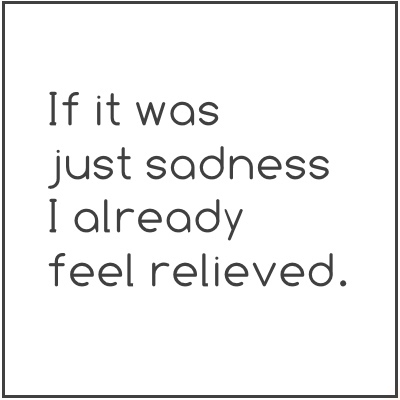 This sadness can linger or just pass over a short period of time. Either way, we have created this page with both original and unique groupings of sad status updates to be shared via WhatsApp, iMessage, Facebook Messenger or any messaging app that you might use. 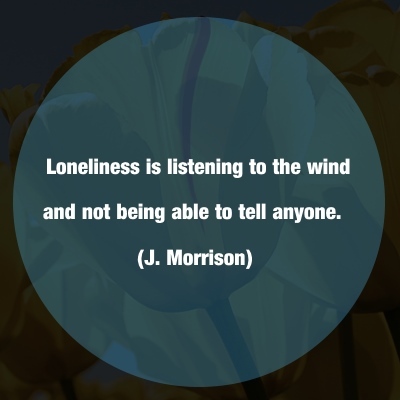 These quotes can help you express how you feel when you are sad and you’ve got a broken heart. 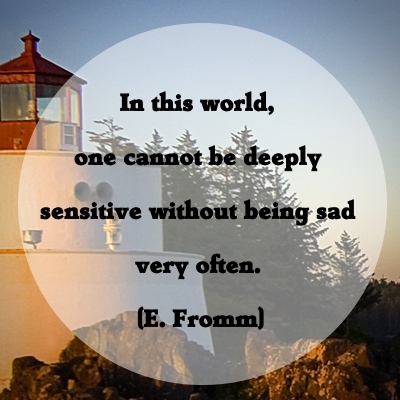 This is a group of famous quotes, quotes you’ve likely never heard, aphorisms and general thoughts about sadness to be used directly or to inspire you. If you can express how you feel in these mediums, sometimes you can even feel a little better. Below are original WhatsApp statuses you can use, not the typical things you might see all the time. All you have to do is copy and paste the quote to wherever you want to use it. You can find a collection of sadder images at the bottom of the page with quotes to send through the app or your personal messaging application other than WhatsApp. You just have to save the image and then send it normally through WhatsApp or any other messaging service. 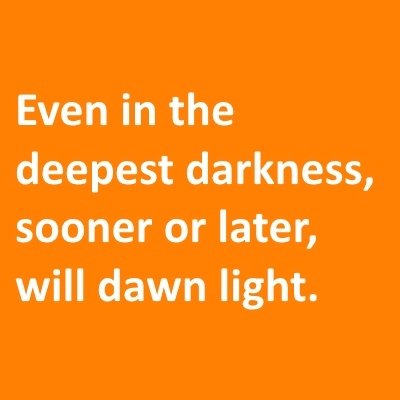 Even in the deepest darkness, sooner or later, light will dawn. If it was just sadness, I already feel relieved. I close my eyes slowly hoping not to feel the pain. You can’t always be happy. 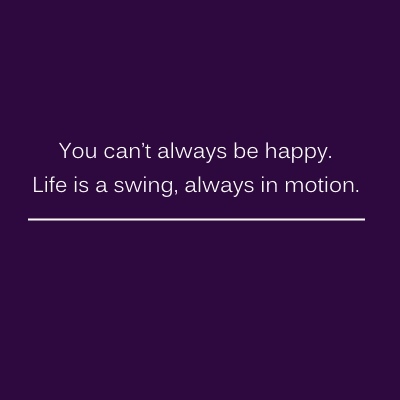 Life is a swing, always in motion. 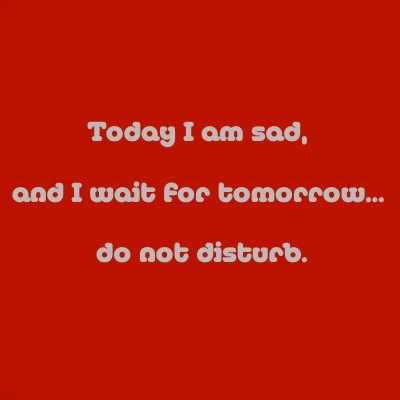 Today I am sad, and I wait for tomorrow. Do not disturb. 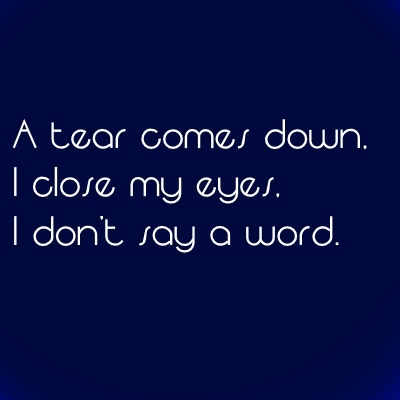 A tear comes down. I close my eyes. I don’t say a word. Sometimes leaving someone behind is harder than hating them. The current good times are the sad thoughts of tomorrow. Far better to forget and smile than to remember and be sad. There is no worst point of view than the one of a young pessimist. I realized that my happiness was in those two eyes that no longer look at me. Nobody is sadder than the one who cannot smile. When you are sad and want to die, think of all of the people who have to die and would rather live. Sadness comes from the solitude of the heart. I think I’ve never lost an opportunity to be sad. Sadness is caused by the memory of happiness. Be careful of sadness, it is an addiction. It is often necessary to find out why we are happy, but we always perfectly know why we are sad. 1. People don’t cry because of weakness but because of being weary after staying strong for so long. When you cried I was there for you, so where were you when I was crying? I cried with you, I cry with you; I will cry with you, please dont leave when I also cry. I do not want you to laugh with me if you cannot cry with me. We cry, we laugh, then cry some more, and laugh some more, thats why I love you. Yes I cry, I am not made of stone. You will be surprised that rich people cry more. When the poor cry, the poor and the rich may understand their tears, but sometimes when the rich cry neither the rich nor the poor understand why. Don’t let the smile fool you, the heart could be crying. Whether rich or poor the tears are the same, salty. I don’t understand why you would hold my hand while raising a trophy but be nowhere to be found while whipping a tear. I will always be there for you especially when you cry because that is when you need me the most. Please when I cry dont hold me, for when you do I will not be able to hold it in. I would rather cry my eyes out with my friend than laugh my heart out with my enemy. Sometimes its better to let it out than to hold it in. 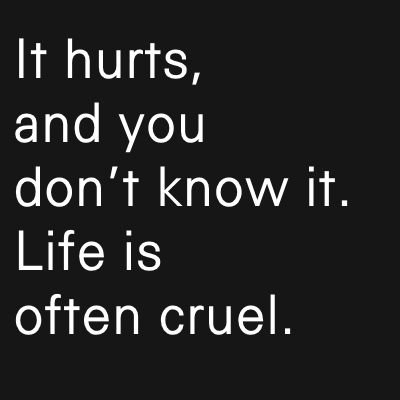 Life is tough, so dont be afraid to have a good cry even if you dont yet know the reason for it. I start crying because of one thing, but I continue crying because of many things. All I have of you is tearful memories, but am still with you, why? I dont know. Lessons that lead to tears are what you are good at giving me. The cheerful and ever smiling girl in the day may be crying herself to sleep in the night. There are moments you may hear a song that is a reflection of your lifes struggles so deep that you start crying. Crying is not weakness, its strength subdued. Those who laugh loudest, cry loudest just not in sight. Men also cry, in the privacy of their locked closet. Women drown their sorrows in tears, men in beer, so let me have my drink. Dont be afraid to show your sensitive side is an advice that kills men in secret. When a woman cries, its business as usual, when a man cries the world stands still. The tears of a man are sacred, should be rare. Men are not afraid to walk in the rain because then you cant notice them crying. True love isnt built in laughter but in tears. My silence is a reflection of my pain. When you left me for good, my good left. My success is founded on sweat and tears. The robbed that does not cry steals something from the thief. If you ignore me in my times of tears, ignore me in my times of laughter. I wish I could repay you with laughter but tears are all I have. When you ignore me I cry, when you acknowledge me I cry, you confuse me. Sometimes all that you need is one person to cry with instead of hundreds to laugh with. Cry with me today so that I may cry with you tomorrow. When I cry all I need from you is a hug. If you have never seen my tears, you are not a genuine friend. I am that person you notice only when I laugh, for when I cry I do it silently. I dont care for those who only care when I am happy. A lover not only holds you when you cry but also cries with you. Share the pain, share the joy, share, the sorrows, share the laughter, and repeat..
You will be surprised that beautiful women cry more. The more the beauty the more the tears, because you are targeted more46. If you want to know pain, approach a beautiful woman. Sometimes I wish I was born ugly, these tears are too much a price to pay for being beautiful. A heart breaker is more damaged than his victims. I cry to be noticed, for when I laugh no one notices. If you leave me I will surely die. You built my hopes around you and left me with nothing when you left. My hopes and dreams are built around you, so I would rather die than watch you leave me for her. If you give up on me, Ill give up on me. Ive been unhappy for so long I have forgotten what being happy feels like. Dont tell me the truth; there are some things I cant handle. Its sad living a lie, but sometimes it is even more sad living a truth. Behind my sweetness is everything you cant handle. My kindness is veiled by my sadness. Behind my bright smile is something you will never understand. My eyes are shining not because of beauty but because theyre teary. 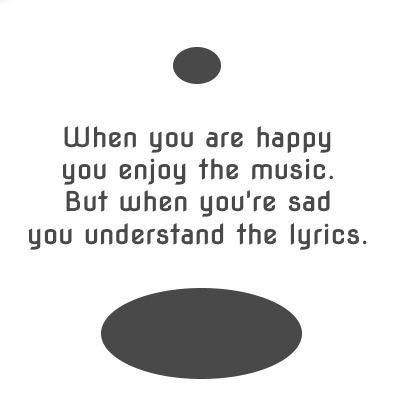 My music and my mind are my best friends because no one understands me better. My love for music is based on my experience with pain. I play sports, and am good at it because I am good at hiding my pain there. My well sculpted body is a depiction of my deeply wounded soul. I hide my sadness with lip-gloss and mascara that is why I wear makeup. I buy her diamonds and pearls not because I love her but because I pity her. The worse thing about my sadness is because I cant explain it. Tears are painful words in motion. I would rather be alone but with you. My tears are a sign of caring too much. Papa! you may no longer be here with me, but am coming to you, my death is on the way. In death I wept not because of your passing but because of my realization that I took you for granted. You died and took away a piece of my heart. I may say I dont care, but the truth is I cant stand the pain of you not understanding how much I care. I will be here for you no matter how long you will take me for granted. I understand I broke your heart, but I cant stand the pain of you not forgiving me. The distance between you and me is what makes me happy, not the love. You may be far but always in my mind, that is why I cry when am alone. Painful memories are what keep me going because I have no good ones. I am worn-out because of fighting, for once fight for me. I feel for you, because the day you realize how much you are hurting me is the day you will start hurting. Every time I prove my love for you, you show me that I made a bad choice. I love you not because I wanted to, but because I have no choice. I am doomed because I love the one who doesnt love me. I can take it that you dont respect me, but I cant take it that you dont love me. I really need to channel my emotions somewhere I will heal instead of hurt more. Dont worry about me, am used to this, I will survive. Life has thrown me so me much lemon that I wouldnt know what to do with an orange. The more I have expectations the more I get disappointments. I dont drink because I hate my job, I can change jobs, I drink because my wife hates me and I cant change her. Holding on hurts more than letting go but I have to. I hope I will one time mean something to you. We dont talk, we hurt. I hurts that I exist only when you need me. I smile because sadness is harder to explain. If you had a heart, you would understand. I am a pretender because life is a pretender. Its sad that love is a dream then a nightmare. No need to wait for that which is not even there. It saddens me how friend become who they promised never to be. If you have some sad quotes to share, do not be shy to comment them below and get them added to the list. Thank you for sharing such a nice collection of whatsapp status and dp.